This modern artificial leather office chair will allow you to spend a productive day at the office in the utmost comfort. 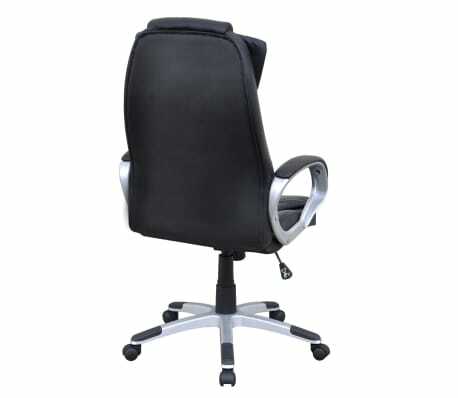 It is ergonomically designed to give you full support for your neck, back, buttocks, etc. 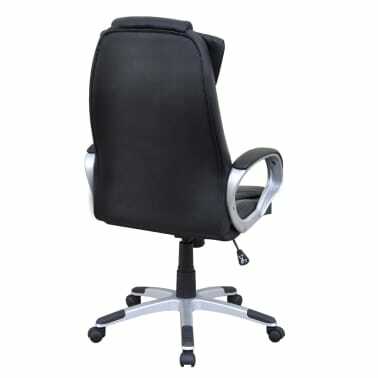 during your busy workday. 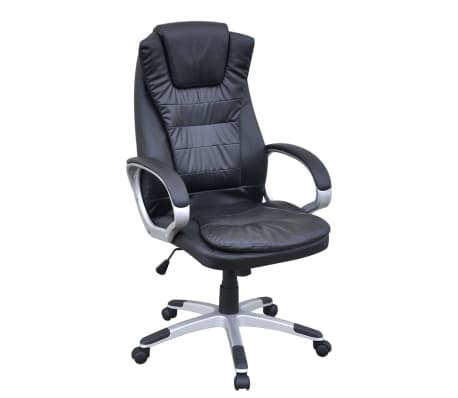 Upholstered with smooth, soft-to-touch artificial leather, the chair is easy to clean and thickly padded for even more comfort. 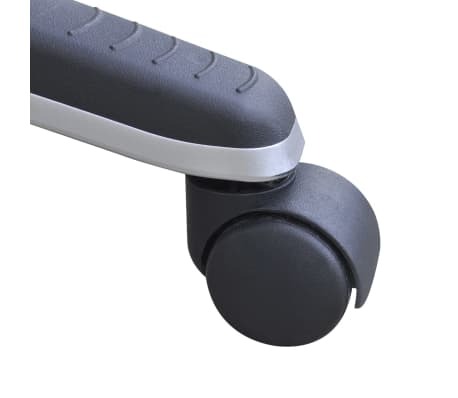 With 5 castors, you can move around easily. 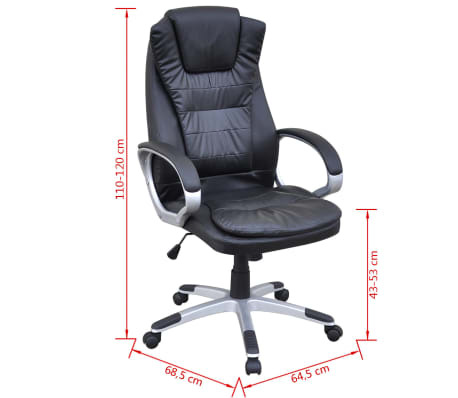 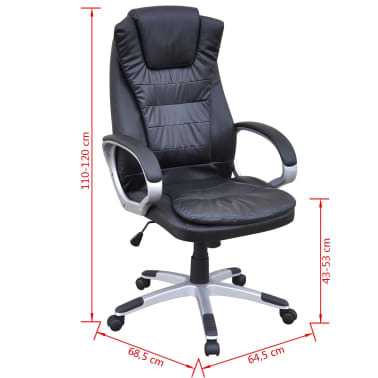 The office chair is adjustable in height to suit your personal preference. 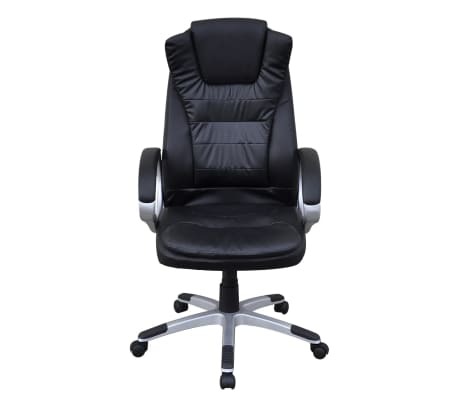 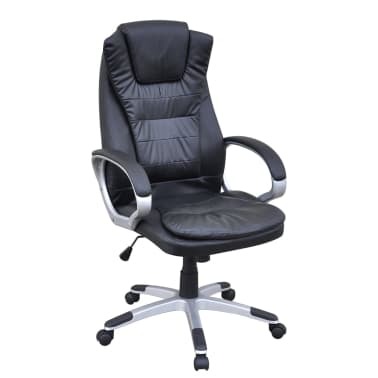 This stylish artificial leather office chair will be a great choice for your workspace.